Instrument adjusting techniques in the chiropractic setting are used to focus on adjusting specific spots or areas of the body with special tools. Targeting these areas can be a workout for practitioners because of the squatting, bending and reaching it may involve. That is where PHS Chiropractic comes in to save the day (along with your back and energy!). 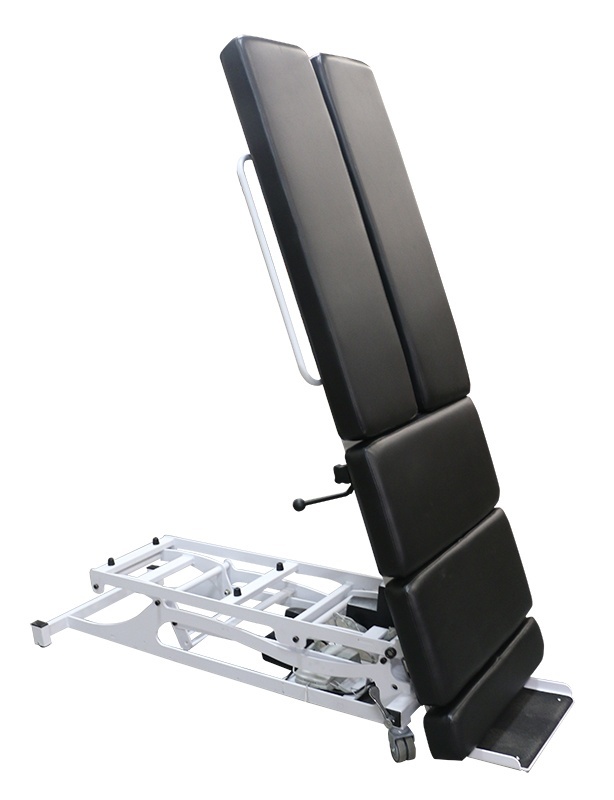 We saw a need for high functioning instrument adjusting tables and designed 2 tables with dynamic features that accommodate practitioners who use instrument adjusting techniques. 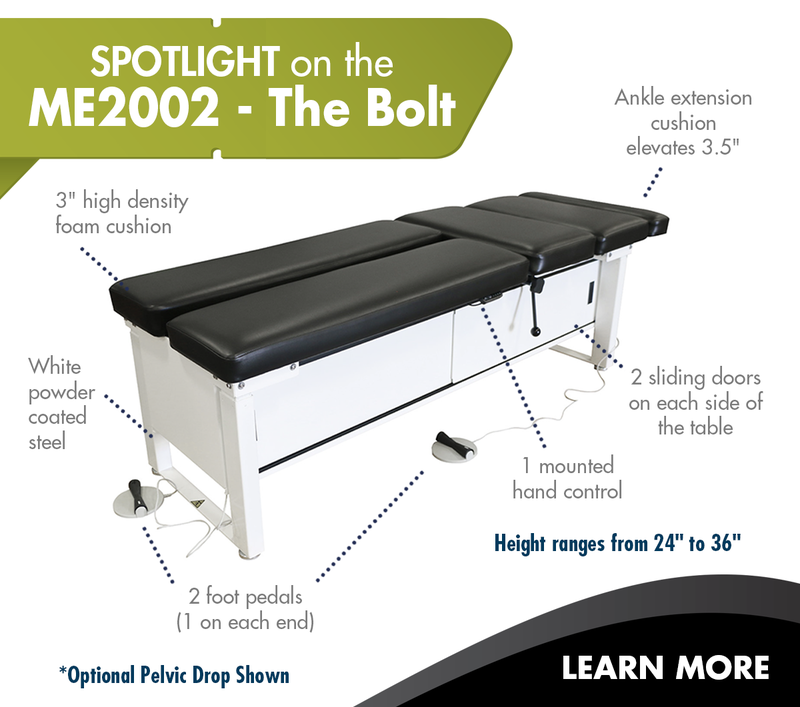 The efficient tables, the ME2002 - The Bolt and the HY2002 HYLO IAT, allow chiropractors to treat each patient uniquely and effectively. Click here to view more info. 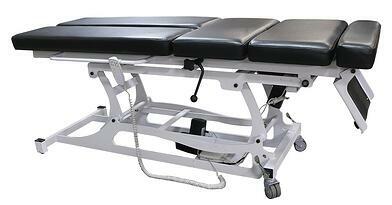 This newly designed instrument adjusting table has a lot to offer. With multiple ways to position patients and features that make adjusting patients easier, this table will enhance both the patient and practitioner's experience. Height ranges from 20" to 34"
Ankle extension cushion elevates 3.5"
In the chiropractic field, flexibility is the name of the game. It’s our mantra too. Since we launched in 2005, PHS Chiropractic has become a leader in beautifully designed, customizable chiropractic tables and accessories. We design our base tables to be feature-rich, meeting the needs of the student or new practitioner. Yet as you grow your practice, our tables grow with you: We’ve dreamed up every possible feature, from drops to elevating heights to adjustable head pieces—all easily added to your existing table to broaden your options. It’s all part of the thought and care that we put into each and every PHS Chiropractic product. Made right here in the Midwest at our plant in Watertown, South Dakota, our products reflect our strong values: high quality, integrity, creativity and innovation. The result is a rich line of chiropractic tables and accessories—from our groundbreaking Tradeflex series to our patented ErgoStyle drops—all offering a high level of design expertise, patented features and great value that give you the tools you need to build a successful practice.